It’s tempting to think of our bones as strong and nearly indestructible, but they need love, too, as well as plenty of good nutrition. Think of it this way, when we feed ourselves, we also are feeding our bones, and it takes more than just calcium to keep them healthy and structurally sound. And, no, our bones are not as strong as we might like to think. Anyone who has suffered a fracture knows that all too well. Good nutrition is a lifelong priority as far as bone health is concerned, not something to think about only when we hit 50 and become more aware of what osteoporosis is and what it entails. Bone nutrition is a factor for each of us even before we are born, because what our mothers eat while pregnant with us will influence eventual bone mass when we reach adulthood. About 95 percent of our peak bone mass is reached while we are in our late teens, per precisionnutrition.com, with some more bone to be built generally while we are in our 20s. But once we hit 30, our bodies quit manufacturing additional bone deposits, and from that point on we stand to start losing bone mass. It’s then up to us and our eating habits – as well as our exercise routine – to keep things as status quo as possible with our skeletal structure. It is from age 40 on that things really get serious, as most people in the U.S. lose about 0.5 percent of their bone mass annually. Chronic loss of bone can result in reduced bone mineral density as well as the deterioration of bone tissue and, well, at that point, we are looking at osteoporosis. The worse news is that fractures from osteoporosis occur more often than heart attack, stroke and breast cancer combined. For women, the most significant loss of bone mass takes place during menopause, when bone-guarding hormone levels drop. About 10 million Americans have osteoporosis and another 34 million are at risk, per todaysdietitian.com. Here’s the thing about bones, though. They might not look it, but they are in fact living tissue that never stops breaking down and then “remodeling” themselves – basically, regenerating themselves so that about every 10 years we get a completely new skeleton. Besides that, much of the bone structure consists of protein as well as connective tissues, and a network of nerves and blood vessels, with marrow at the center of the structure. As living things, bones need to be fed, and that’s where nutrition comes in – not just for the sake of promoting bone mineralization but also to keep the entire skeletal structure healthy as well. There’s no big secret to it: like with almost anything else, a balanced diet of whole, fresh foods – just like you guessed, starting with fruits and vegetables – can play a major role in your long-term bone health. Remember, this includes young kids and teens as well. Calcium. No surprise there. About 99 percent of the calcium in our bodies is found in our bones. 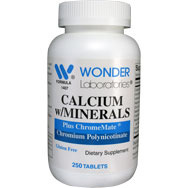 A daily intake of 600-1,200 milligrams of calcium a day is what the doc recommends. Going much beyond that, though, can be harmful in the too-much-of-a-good-thing sense. 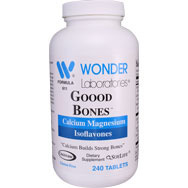 Calcium is a major building block of bone tissue, per iofbonehealth.org. Good food sources include kale, broccoli, sardines and some dairy products such as milk. Vitamin D. Mention calcium and bone health together, and Vitamin D belongs in the same breath. Its most important role in our body is regulating the absorption of calcium into bone, as it also does for another key bone nutrient, phosphorous. Our bodies don’t manufacture Vitamin D – we must get it from the sun, through the food we eat and via nutritional supplements. Sources include salmon, tuna, sardines and egg yolks. Protein. This is a nutrient especially important in childhood and adolescence to ensure optimal bone mass gain. Protein also plays a key role in maintaining bone mass as we age. A protein deficiency for seniors, especially, can mean a loss of strength in the muscles, thus increasing the risk of falls. Sources include legumes (such as lentils), soya products (like tofu), grains, nuts and seeds. Magnesium. 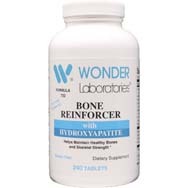 It’s key to forming bone mineral, although its absorption tends to dwindle with age. Good sources include green veggies, fish, nuts, seeds and unrefined grains. Vitamin K2. It helps calcium get to where it needs to go. Rich sources include dairy, meat, poultry and a traditional Japanese food known as natto, which is made from fermented soybeans. Vitamin C. It helps in the production of new bone. Food source: a healthy dose of fruits and vegetables. Vitamin E. It’s a strong antioxidant that goes after free radicals intent on destroying bone. Find Vitamin E in nuts, tomato sauces, seeds and dark leafy greens. Zinc. 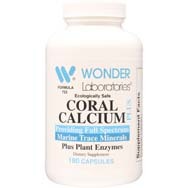 A mineral required for bone tissue renewal and mineralization, per iofbonehealth.org. Boron. The mention here of boron comes courtesy of the National Institutes for Health. Boron is an element that has been shown to stabilize and extend the half-life of Vitamin D and estrogen. This is especially welcome news to post-menopausal women.